The module allows to edit orders (PrestaShop 1.2-1.3). 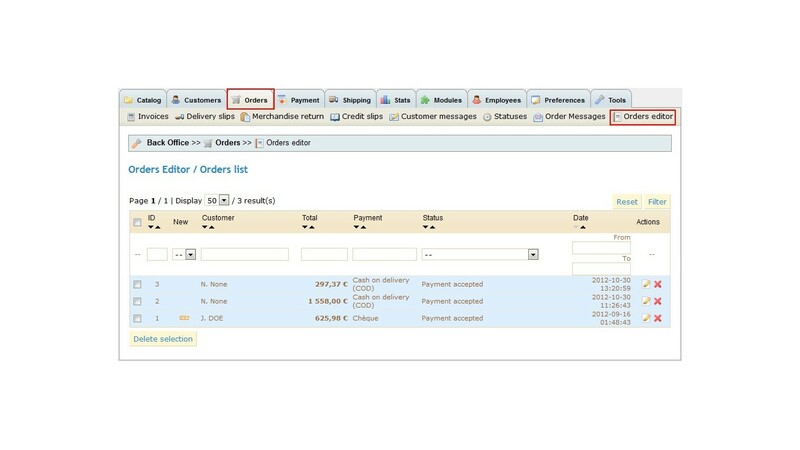 The module «Orders Editor 1.0» allows to manage orders that have created by customers. 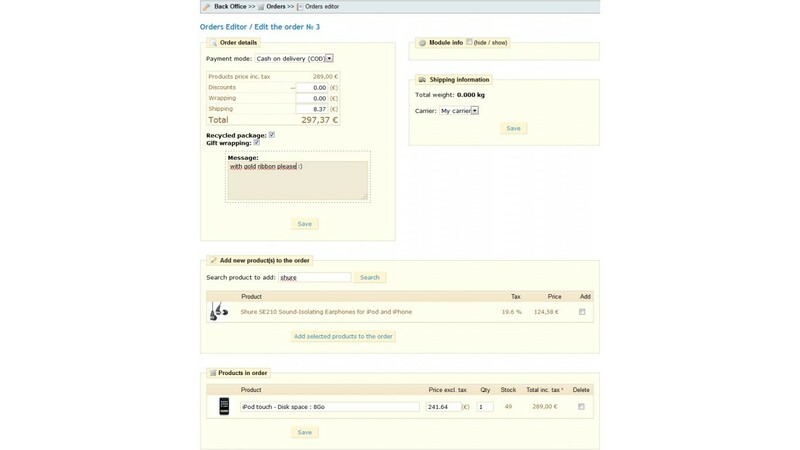 You can modify these order data: a set of products and a data of each product, prices and discounts, payment and delivery methods, packaging and wrapping. You can also delete and filtering orders. In PrestaShop versions before 1.5 was not possible to edit orders. This is a free module that works under PS 1.2-1.3 only but I think it is still useful and it doesn’t have any better analogs. If you are still using those old versions of PrestaShop then this module will useful for you. And other features (see demo-video). The module has a normal installation (one click to install) and it is not need to configure. After installation the tool is placed in the «Orders->Orders Editor» tab of the menu. remove all files from "/modules/orderzeditor/"
Since 1.2.0.0 version the module became free and licensed under open-source Academic Free License (AFL 3.0). The last paid version was 1.1.1. The module is supports PS 1.2-1.3 only. 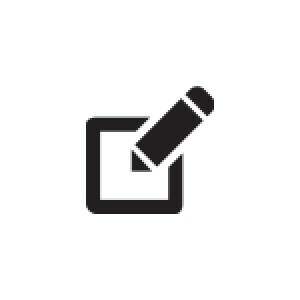 If you need such module for PrestaShop 1.4 then you may be interested in «Orders Editor 2.0» module (it is also free). The module not has a feature to add new orders. You can use another module to do that work.